Treviso airport (formerly Treviso - Canova airport also known as Venice - Treviso airport) is the second airport of the city of Venice; It's located in the mainland, 30 kilometers far away from Venice island, and it is only reachable by ground transportation (not water taxis). Many low-cost companies, as Ryanair, Easyjet or Wizzair, have a lot of flights coming from UK, Germany and Spain arriving to Treviso airport; once here, the cheapest option to reach Venice island is by bus (see below). Taxis from Treviso to Venice are expensive and, without a previous booking of a combo-service (ground taxi + water taxi), you will be able to reach Piazzale Roma, but you will have to arrange the second leg of your ride, from Piazzale Roma to your hotel or apartment in Venice. If you are looking for a very comfortable, stress-free taylored service from Treviso airport to Venice, our private transfer is the perfect choice! If you are arriving at Marco Polo airport, please check this page instead. Our service from Treviso airport to Venice island it's provided in two parts: we provide ground transportation from the airport of Treviso to Piazzale Roma in Venice (one of the two locations, with also the cruise terminal, that are reachable by ground transport) and then a private water taxi from Piazzale Roma to your accommodation in Venice. You can avoid the stress of a combined public transport (a bus and then a water bus) with a relaxing, all-inclusive, private service with us! If you are arriving to Treviso airport, after collecting your luggage, you will find the driver waiting for you in the arrivals hall. He will hold a sign with your name. 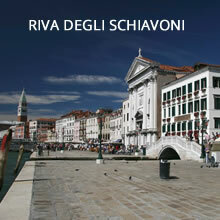 The first part of your transfer will be provided with car or minivan, from the airport to Piazzale Roma in Venice. This part of the trip can take 30-45 minutes, depending on the day and hour of your arrival (rush hours are from Mon to Fri - 07:00 to 10:00 and from 17:00 to 19:00). Mercedes E Class vehicles and Mercedes V Class and Sprinter vans are available for groups of 3, 5 and 8 passengers. For groups with extra luggage we suggest a Mercedes Sprinter Van. Once arrived to Piazzale Roma, a private water taxi will be waiting for you to take your group the hotel or your apartment. 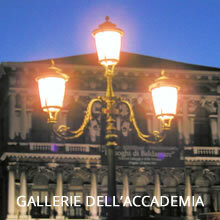 The trip from Piazzale Roma to Venice city centre is approximately 15-20 minutes. A 30 minutes extension tour through the Canal Grande (additional fee required) is also available, we suggest you to take this tour on arrival in order to enjoy a first look of the city by an unconventional point of view. Meet and Greet at airport, 1 hour of waiting from landing time. The driver will check the arrival time of the flight and will schedule the pickup time accordingly. For return transfers (from Venice to both airports) we will pick you up at Hotel dock (where available) or at the nearest public dock to your hotel or appartment. Due to the distance of the airport, we suggest to select the pickup time 3 hours before your flight departure time. For special requirements (large groups, daytrips, luggage assistance / porters, luggage storage..), please feel free to contact us to ask for a taylored solution. Water Taxis can accommodate up to 8 people and luggage (10-12 people withour luggage). You can choose a standard fiberglass water taxi or a Luxury wood-made boat. Our vehicles can accommodate 3 (Mercedes E / S), 5 passengers (Mercedes Viano) and 8 people (Mercedes Sprinter). Venice airport transfers are available from/to Venice Marco Polo airport, Treviso Canova aiport but also Bergamo airport, Milano Linate, Milano Malpensa, Verona and Bologna airports. Book your transfer now through our booking form. How long does water taxi take from Venice to Treviso airport? The time for a private transfer is 60-75 minutes. We usually suggest to schedule your pickup at least 3 / 3,5 hours before your flight departure time. To Piazzale Roma, by bus with ATVO. The ride is 1 hour and 15 minutes approximately; from 7:45 to 22:30 departures each hour. 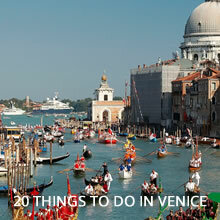 The ride from Treviso to Venice (Piazzale Roma) is 70-80 minutes approximately. You can buy tickets at ATVO automatic machines within the arrival’s hall of the airport. For return, you can buy tickets at Piazzale Roma, at the ATVO desk counter. 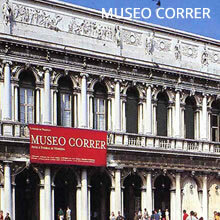 To Venice Cruise terminal (direct) or Venice (Tronchetto) by bus with Barzi Service. The ride is 50 minutes approximately; from 8:15 to 21:30 departures each 90 minutes, but the arrival stop at Venice has moved to Tronchetto island. Once here you can take the "people mover" to reach Piazzale Roma in 5 minutes. You can buy your tickets at the Barzi desk inside the airport building, or directly on the bus (cash payment is required). To Venice Santa Lucia Station. By Bus from Treviso airport to Treviso Train station and then by train from Treviso to Venice. Take bus line #6 from the airport (from the airport to the train station is 10 minutes) adn then a train to Venezia Santa Lucia. Is my booking a private or shared transfer?We only provide private transfers. This means no queues, no waiting for other passengers to arrive and no additional stops. Pickup at Marco Polo airport: The driver will be waiting in front of the luggage claim area exit door, holding a board with your name. Pickup at the hotel: If a water taxi dock is available at the hotel entrance, the driver will meet you here. Otherwise we will contact you before the departure to provide the closest dock available for pickup. Can I contract luggage assistance?Due to local regulations, the driver can’t leave unattended the boat in Venice, so he will not able to assist you with luggage from the dock to your address or hotel. In this case we can provide a “porting service” at an affordable fee. Please contact us if you need assistance with your luggage. Are there any extra fees for credit card payments?No, we never charge any additional fees for online credit card payments. The price you see is the price you pay. Which is the difference between a standard Water taxi and a Premium/Luxe one?